First, let me make sure I fully understand the elephants in India situation. Elephants are wild, but there are also domesticated elephants who have long been friends to man. They work on farms, they carry burdens, and they are beloved family pets/partners. Sort of more like horses are in America. Thot that uncommon (in America and other places, an elephant would be something you only see very rarely, and only in zoos or perhaps circuses, not working on farms). This also means that elephant abuse is a real concern. Elephants being beaten, overworked, left to die in the street, terrible things. How this relates to my photos post is just that, on the one hand, it seems like movie stars are unlikely to do photo shoots with elephants because they don’t want to imply disrespect or abuse of them. And on the other hand, just searching “elephant” and looking for images doesn’t bring up much, because elephants are so every day, it would be like searching for “Shahrukh Khan grass”. Why would you identify a photo by the boring everyday element in it? And so, although I am aware that images exist in the world of practically every movie star in India with an elephant, I am tragically limited to just these few. But hey, gave me an excuse for a nice little side trip into elephants and their issues! Which star actually seems to know what they are doing with an elephant? Which star seems LEAST to know what they are doing with an elephant? Shahrukh Khan on an Elephant. He looks very much like a city slicker trying to ride an elephant. I like the side-eye that the Mahaut’s in front are giving each other. Prabhas!!!! Or rather, BAHUBALI!!! Now, I am pretty sure this is more a CGI elephant than an actual elephant. But it is still very impressive looking, and Prabhas certainly seems very comfortable atop it. Awww, this is a nice Mammootty picture! And I don’t think it is from a movie (although I could be wrong), I think it is just him hanging out with an elephant. This is from a movie, I think the one where Rajinikanth unites the baby elephant with it’s mother. 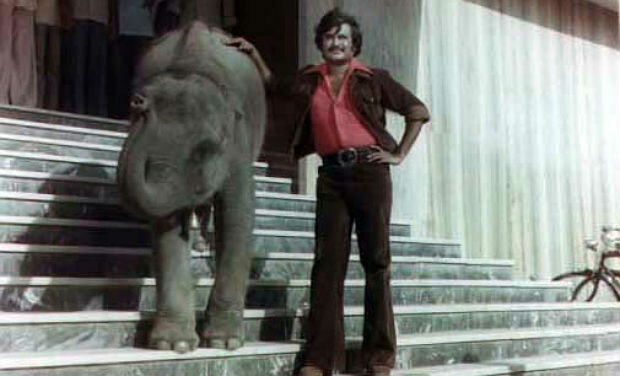 Rajinikanth looks very comfortable, and that elephant is cute cute cute! 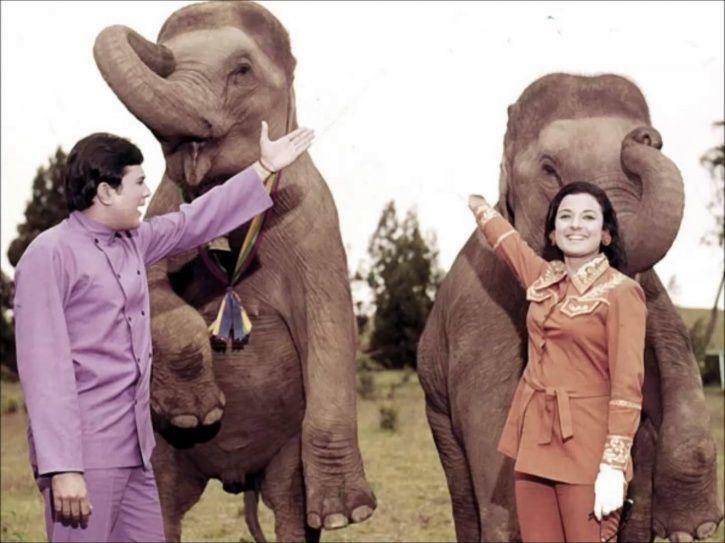 Kamal Haasan, with a full grown elephant, tusks and everything. And I am not sure about his elephant safety standards, hanging onto the tusk and all that. More CGI!!!! But I don’t care, it’s such an epic image, Anushka astride an elephant. Not CGI, and it really really should be! I can’t believe they managed to make Haathi Mere Saathi without massive onset injuries. Or maybe they did have them and just hushed it up. Anyway, Rajesh Khanna playing soccer with an elephant! And here’s Jackie Shroff doing something with an elephant, I am not sure what. But he looks very manly and competent while doing it. 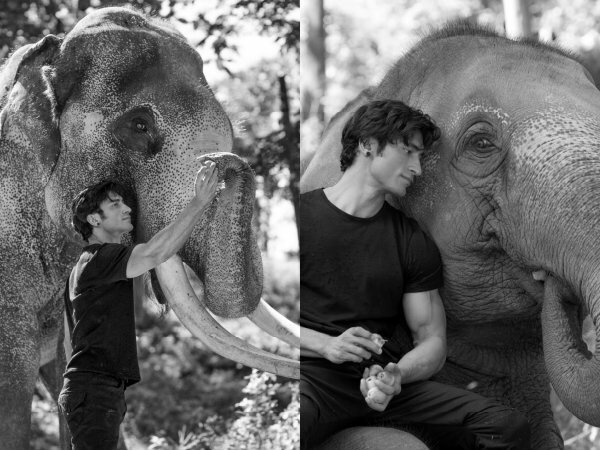 Vidyut Jamwal getting perhaps too intimate with an elephant. 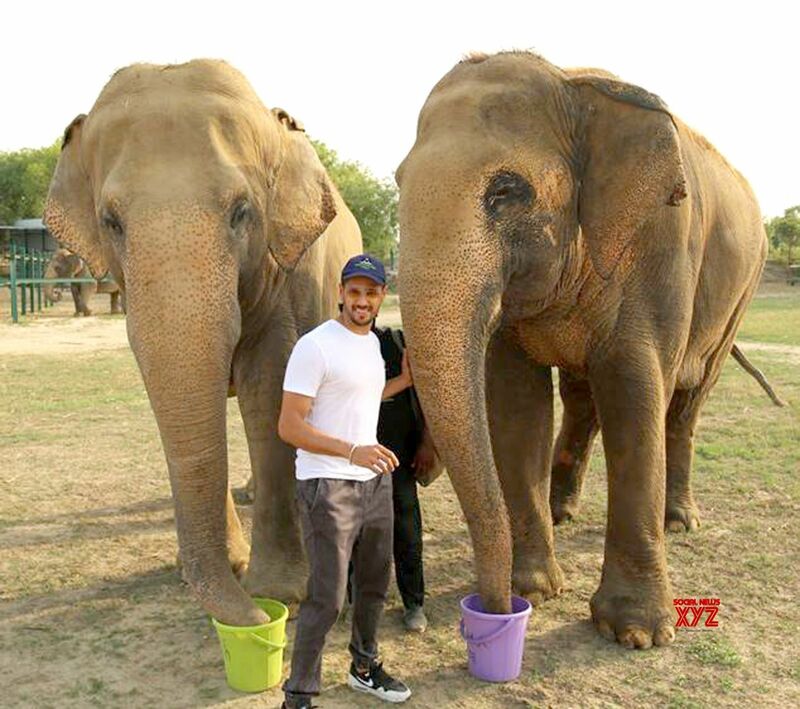 Akshay, being delighted with an elephant. Bobby Deol, a bit calmer. Oh it’s a widdle widgy wiggums teeny tiny sweetums! And also Salman Khan. Yes, Salman, this is also how I feel about this elephant. Rana, with an elephant that really really seems too large to be true. Perhaps a photoshopped image? But Rana looks good. Sid, nothing fancy, simply bringing them some water and saying “hey”. And these seem like very calm and comfortable elephants. Hrithik, in a blurry still from the most famous recent Hindi elephant sequence. The man does look comfortable on an elephant. He would have to be, after filming that whole “elephant taming” scene without a stunt double. Shahrukh, hands down. He never should have allowed photographs of this. This entry was posted in Uncategorized and tagged Kamal Haasan, Mammootty, Mohanlal, Rajesh Khanna, Rajinikanth, Shahrukh Khan, TGIF by mredlich21. Bookmark the permalink. When I started reading, I thought, she’s GOT to reference Haathi mere Saathi — and you did! I forgot – was there an elephant in that picture of Rana’s piercing dark eyes? The elephant’s eyes were there too, but they couldn’t really compete. Thank you! I definitely need to read that. I tried to read a straight up history of south India and it was sooooooooooo boring, so I stopped. Although it did teach me that umbrellas are important, so that’s something. Anyway, a book of folklore looks like a much more painless way to learn stuff. In your opinion as a Malayali, Haathi Mere Saathi elephants are the best elephants then? Not the adorable little baby one with Salman? The poor baby elephant looks undersized next to Salman.Rajesh never believed taking away his co-stars glory.So the Haathi mere saathi elephants appear in all their glory. I’m a bit puzzled by your reference to umbrellas.Do you mean the decorated parasols they carry on top of the elephants when the God is carried on festivals? Or perhaps the wooden parasols with which the Brahmin women of old veiled their faces? Garden of Legends has a nice collection of folktales.But it is by no means complete.It does not the have tales from the popular Northern Ballads of warriors such as Arokal Chekavar, Unniyarcha or Othenan of Thacholi.Perhaps the author assumed that these tales are familiar and need not be elaborated. Jayan,the old super star of malayalam cinema is known for performing daredevil action scenes..
There’s another Telugu movie from 90s that has elephant in key role Rajendrudu-Gajendrudu. He looks pretty comfy up there! He seems like a guy who would know how to ride an elephant somehow. The right sort of laidback but strong attitude. The 53-year-old is branded the most dangerous captive elephant in the state, having killed a record 11 people and 3 elephants in its lifetime. It is also the most popular tusker with a fan following of thousands, perhaps giving close competition to Mollywood superstars in the state. Back in April, over 50,000 fans gathered to see this big elephant. I also find it fascinating that a deadly elephant is so cared for. I could see still looking after him after the first death, maybe 2, but 11?